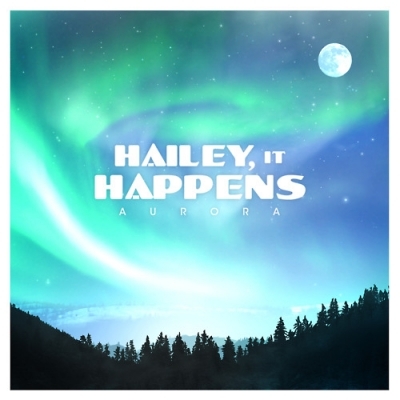 Lovely album art, isn’t it? 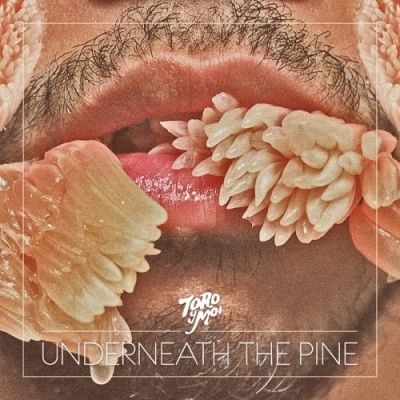 They say that one should never judge a book by its cover, and while it wouldn’t be entirely correct to dismiss Toro Y Moi’s Underneath the Pine on its cover alone, it is actually nice visual representation for the music: dated, a failed attempt at artistry, and generally ugly. Quickly opening the case and popping in the CD (or eschewing the visual assault altogether with a digital copy), the listener is greeted with the aptly titled intro, “Intro/Chi Chi”. The opening fuzzy synthesizers are nearly as hideous as the album art, but after a minute, drums and bass reminiscent of Twin Shadow kick in, providing some hope for what lies ahead. Unfortunately, despite a few bright spots, much of this hope is in vain. Pine is very much an acquired taste, and unless one already has an affinity for the muddled, retro sound that Chazwick Bundick, the man behind it all, is trying to convey, there isn’t much to like. It isn’t that he can’t write music; his creative decisions are very intentional and have a particular audience, but the end result will likely sound off to the average listener. Much of the blame for this sound lies in two sources: the vocals and the synths. Bundick’s high pitched vocals, while unique, have an airiness that makes him sound in near-perpetual falsetto. Needless to say, this only has a limited amount of utility. Instead of clearly defined vocal lines, the singing occasionally comes off more as an off-putting, calculated series of moans (see “Before I’m Done” or “Good Hold”). As mentioned above, there is obviously a stylistic method to his madness, but that doesn’t make the result any less mad. The biggest problem with the synths isn’t excess, but irresponsibility. Many songs contain background synths which don’t serve much purpose but to outline the current chord. However, in most cases in which they are used, the distortion gives them a very dreary sound, which, combined with the vocals, often drags the entire song down. While it is usually just a case of sounding generally muddy, the background instrument in “Good Hold,” actually a piano in this case, just plays terrible notes that don’t blend with the sound at all. All of that being said, however, there are a few good songs on the album, and that’s not even a qualified statement of “good compared to the rest of the album.” It is no coincidence that these songs happen to be the singles, the songs that are naturally going to be most accessible. “New Beat” is fairly infectious, vocal weakness aside, with a synth line seemingly torn straight from a Sega Genesis. “Got Blinded” is a fun, vaguely 60s song with wonderfully layered synths, piano, and bass, and a rarity on the album, it even has a memorable chorus. “Still Sound” starts with a strong bass line and three well-blended synths, and the bouncing singing actually has personality. 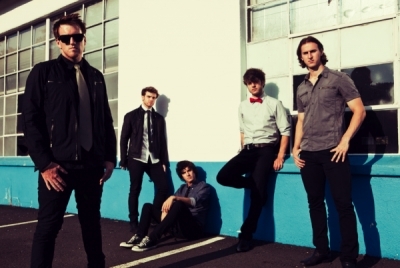 These are fun, memorable songs that are likely the only to warrant repeat listens. The rest of the songs never seem to rise above the hindering synths and vocals. There are rarely moments that even stick out and make the song overcome the mire of mediocrity. In fact, individual moments in the song may even make things worse. “Good Hold” (notice how many times this song has been negatively mentioned?) may perhaps be most notable for its extreme shift of all sound to the left speaker, which I personally found physically uncomfortable in headphones. Not even the lyrics can save the songs. Not only are they often drowned out by the music, they are difficult to understand, again due to the vocals. Those that I could make out, with the exception of “Still Sound,” rarely rose above the simple level of typical relationship songs. I rarely say this when listening to music, but Pine is a largely unpleasant experience. It’s hard to define exactly, but it feels like in some sense, it just lacks “music.” While I normally write it off as not my taste, I can see few people actually getting into this music, with the exception of the singles. Too much of it sounds dreary without justification, and listening to it simply becomes a drag. Bundick clearly put effort into his music, but it nonetheless has very limited appeal. Matt Bellamy has announced via his Twitter page that Muse will be playing 2001’s Origin Of Symmetry in full during their headlining slots at the Reading and Leeds Festivals this summer on August 26-28. The band wants to mark the ten-year anniversary of Origin Of Symmetry by playing the album in full for the last time. “It’s probably the last time some of these songs will ever be played live again,” he said, explaining that the performances would include the band “drawing a line under one phase of our career”. On their upcoming tour, Hawthorne Heights will be hosting a Meet & Greet contest, allowing the winners to meet and hang out with the band before the show, as well as a limited edition out of print Saying Sorry 7″ UK single on either pink or blue vinyl. More information about the contest can be found here. The Flaming Lips and Neon Indian have recently just collaborated for a new song called “Is David Bowie Dying?”. You can listen to the collaboration here.